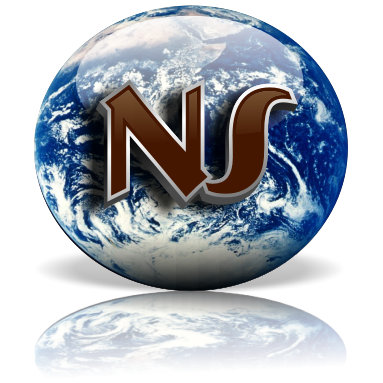 NeuroScript's research and software programs - ScriptAlyzeR™ and MovAlyzeR®, provide tools and means for handwriting researchers to collect and analyze handwriting movements and educators to teach and assess handwriting performance and much more. Science (movement of the pen tip yields both process and product measures in understanding neuro-musculo-visuo-motor interactions). This page provides links to useful resources on handwriting. Online US Patent &amp; Trademark search with full texts (http://patft.uspto.gov/). 5,018,208 Input device for dynamic signature verification systems by Karen Gladstone. 5,730,602 Computerized method and apparatus for teaching handwriting by Chip Gierhart. 5,933,514 Method for dynamic reconstruction of handwritten data by John Ostrem, Norman Austin, Hewitt Crane, assignee Communication Intelligence Corporation. The number of patents including "handwriting&quot; shows an explosive growth. Peterson-Directed Handwriting (www.peterson-handwriting.com) Greensburg, PA (Rand Nelson). Classical method of handwriting instruction in USA. Check out their Animated Letter Cards. Ventura - (www.venturaes.com) Curriculum software, electronics, books and classroom/office equipment and other technology products. 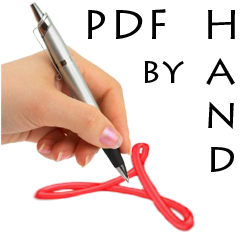 There are some softwares available to recognize and edit handwriting. If you have Office XP installed, handwriting and drawing can be written using a mouse or digitizer pen in Microsoft Word (from Office XP). These are respectively converted in to text and images. In other Office XP applications, handwriting recognition can be done. Click the button next to 'handwriting' > Select the option > click update. The handwriting toolbar should appear on the screen as . If you donot see it right away move the windows on the screen to find it. If not, right click on the Windows taskbar . Next, click on the "Language bar" option (this will display a check mark next to it). The handwriting toolbar is then displayed on the taskbar as . This can be moved to the screen by using the restore button or minimized or dragged back in to the taskbar. Writing pad: A seperate window opens, with ink, eraser, space, tab, spelling correction etc. 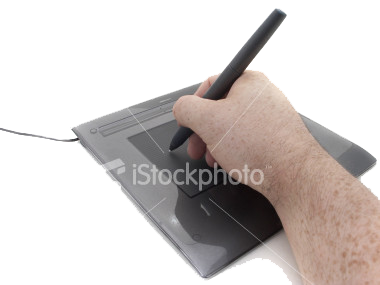 One can write by left-clicking and dragging the mouse on this screen, or, write using the digitizer pen. An option "write anywhere" is also available in this window and also from the toolbar. While this is on, one can write anywhere on the word document, and the text is added. Drawing Pad: One can draw on this window using the available options, and hitting the button with "Insert Now" instruction tag, will insert the drawing as an image in to the word document. 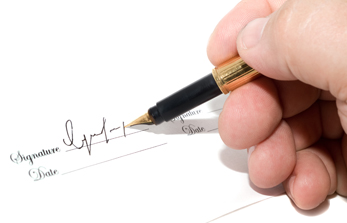 So this can be used to store handwriting as is, instead of converting to text, for example, a person's signature. Eventually these can be used in email text etc. In other MS Office applications such as Excel and Powerpoint, only the writing feature is available.